Earn $58.00 in Rewards credit. Click to learn more. 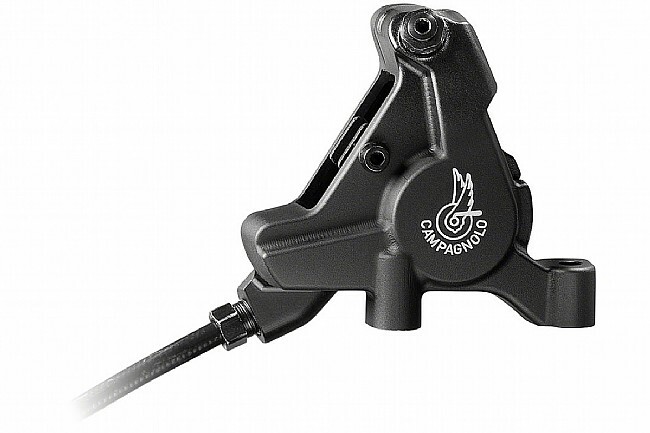 Campagnolo's Super Record 12-Speed Ergopower Hydraulic is aesthetically pleasing and functional. The unidirectional carbon design offers riders two different lever-handlebar positions to adapt to different size hands for maximum control. 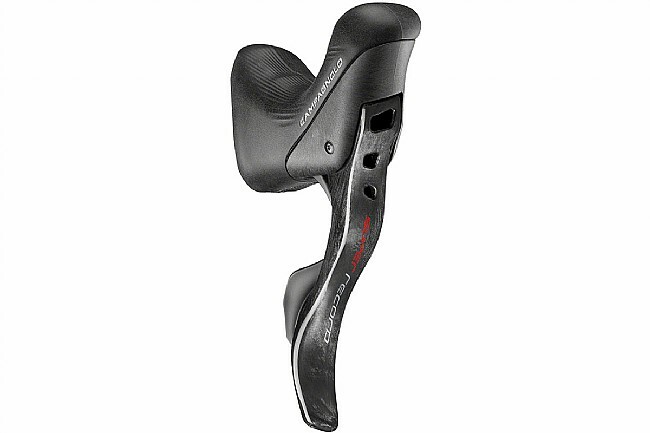 This results in consistent power, stiffness, and reliability for when its needed most. Vari-Cushion technology offers an ergonomic, comfortable and safe support and grip. The “one lever-one action” feature assigns each lever one function to prevent shifting errors. Ultra-Shift mechanism enables upshifting up to three gears at a time, and downshifting a full five. Hydraulic 160mm flat mount caliper included.